As we approach the end of the 2nd fastest cooling month, we are about to embark on a journey through THE fastest cooling month in about a week. I phrased it as a journey, well, because I believe this month may have just about everything you can ask for if your a weather enthusiast. By the time this month is finished, there will have been much that had been discussed and experienced throughout the sub forum. With that being said, let's discuss the possibilities of what nature may deliver for us next month. Of late, we have experienced a dramatic flip as the atmosphere has began it's seasonal transition into the cold season...in great fashion I may add. Noteworthy blocking has sprung and storms have been plentiful. Will this continue??? 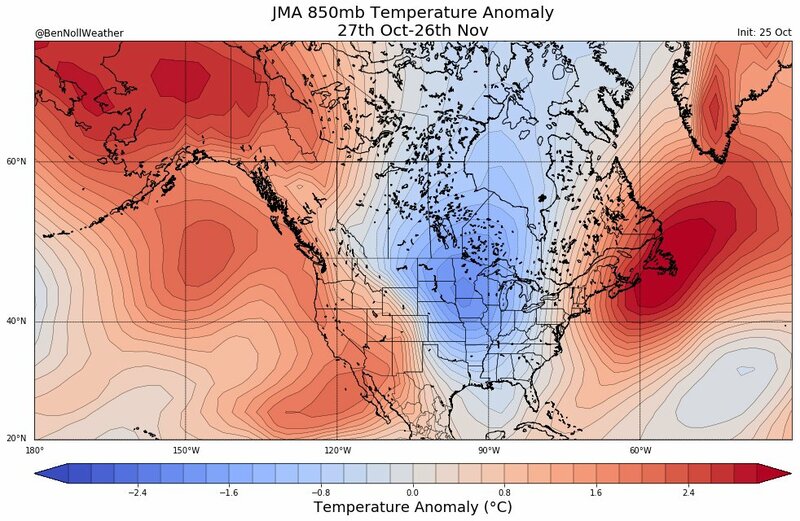 Data is suggesting an extremely tight baro zone to develop as the month opens across the central CONUS. Canada will flood with early season Arctic air and there are signs of weakness with the PV. The odds of a Fast Start to Winter is increasing with each passing day. I hate to be a buzzkill, but IIRC last november started out really strong and it suddenly just flipped. Is there some way to be aware of a flip like that happening again? Or is it just a big fluke that it happened last year. Everything is looking better than last year that's for sure. 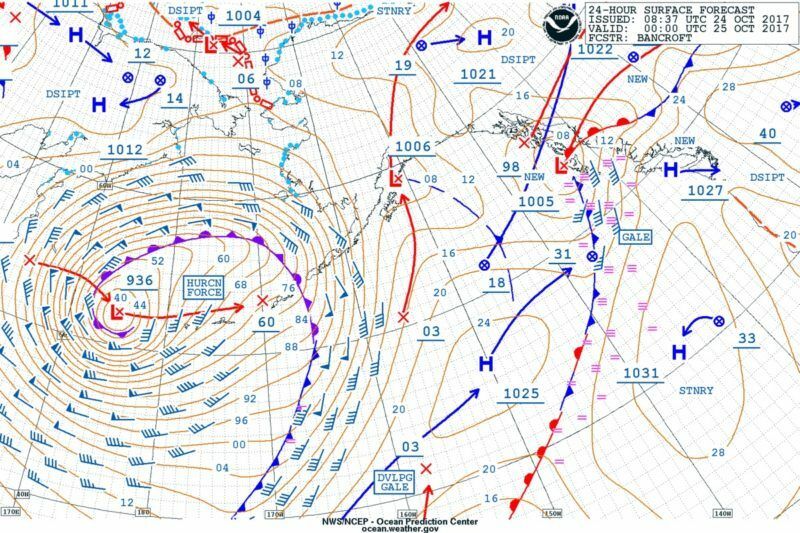 Last year we had a raging PAC plowing into the PAC NW, weak blocking signals, trough centered in the GOA, westerly QBO and much different pattern overall in Oct compared to this year. Sure, you may get a -PNA to develop and allow some warmth to come into the picture at times this month but I don’t think a torch is on the table. EC peeps may see endless Summer come back for a little while. Euro weeklies come out tomorrow and I hope to see them hold onto the colder/active look. Models may be going back and forth due to what is happening with the MJO, Start warming and also the next Typhoon re-curving. Last year we had a raging PAC plowing into the PAC NW, weak blocking signals, trough centered in the GOA, westerly QBO and much different pattern overall in Oct compared to this year. Sure, you may get a -PNA to develop and allow some warmth to come into the picture at times this month but I don’t think a torch is on the table. EC peeps may see endless Summer continue for a little while. Tom is by far the best when it comes to digesting the LRC; and he is dead on with this saying. 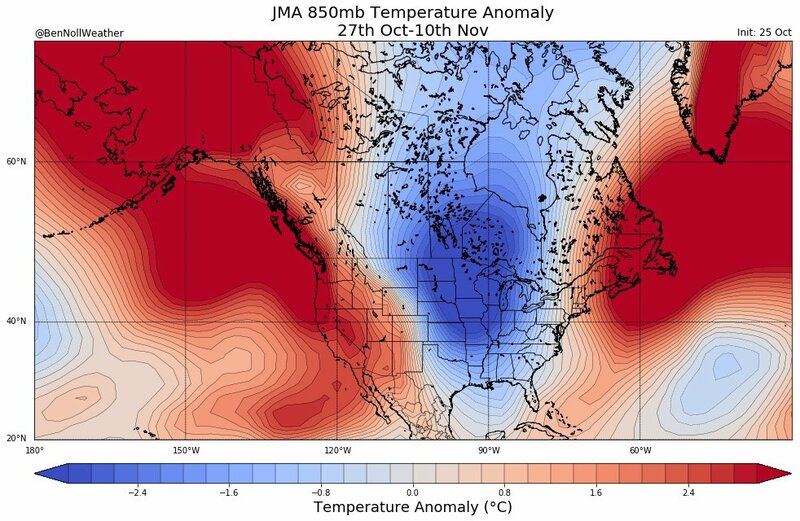 Last year we had no blocking, raging pacific jet coming into PAC NW, and a positive AO. Biggest thing, at least from my observations in the past 10 years I have been following the LRC, is to watch for systems rounding the base in and around the four corners region or have them dig coming out of the NW flow. When the pattern is progressive, as it has been for way too long, storms don't have a chance to dig as they round the base of the trough. What I have been seeing in the models is a lot of storms digging in the central part of the states, and blocking both upstream and downstream. That should lead to storms going negative tilted, bowling balls, and pan handle hookers. Good for all to the east of the rockies!!! Looks almost like a text book La Nina type temp pattern in the 8-14 day outlook. I'm tracking a rather large storm system into the N Rockies around the 11/5-11/7 period that will likely be a hard cutter. 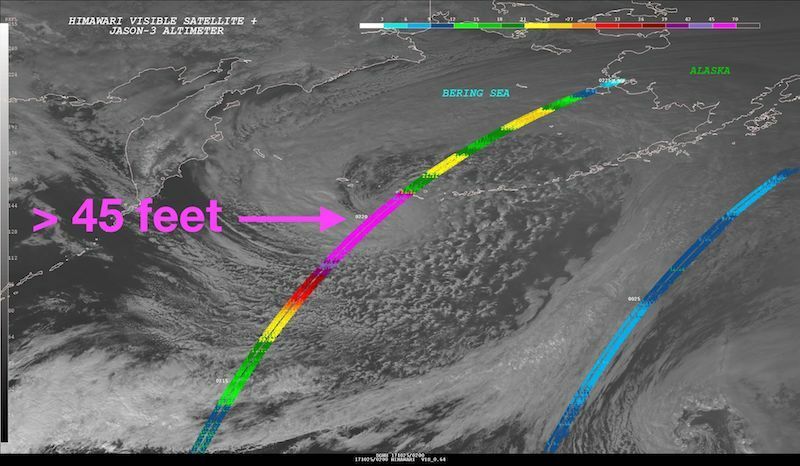 The Tropical storm Saola that is forecast to track to the east of Japan eventually makes it into the Sea of Okhotsk and forms into a major system. This location of the trough argues for very cold air to build in SW Canada Week 2 which the models are all jumping on. Looking beyond the Week 2 period, into the targeted period around 11/11 where the pattern becomes very active and possibly more wintry as the pattern may shift a little farther south in the central CONUS. Notice how the trough will be replaced by ridging in the extended period north of Japan. This is a key indicator that what we may eventually see is the trough in SW Canada may shift farther east and be replaced by more ridging as well as across NW NAMER. In today's JMA weeklies, it is somewhat agreeing to this pattern with a trough in SW Canada Week 2, but then Week's 3 & 4 things change and we can see colder air making its way into the central CONUS. JMA weeklies suggest, be weary of the 2016-17 "look" the GEFS/EPS are suggest during the opening week of November, because it's prob only a temporary period where nature reloads the pattern. Climatologically speaking, it's natural for the north to get the snows first and build the snow pack up there. TBH, you can't ask for anything more so that there are no "snow holes" as we roll into winter. Cold air will have more fighting power as it builds in Canada and eventually makes its way south. JMA not buying into the strong riding across the south/east thru Nov 10th (I'd say take a blend of the JMA/EPS)...what a temp gradient and active storm track we will see across the central CONUS. Fun times ahead. That last JMA map seems cold enough to get all of us north of the Mason-Dixon some flakes. Wow, when's the last time we've seen this pattern this early? 2000 perhaps? TBH, I don't really remember much of the '00-'01 season as I was a Freshman at SIUC down in Carbondale, IL. I do remember how cold it was that season even down as far south as I was in S IL. We had several good snow systems that year and one that I remember vividly was in the middle of December while I was driving home with one of my gf's for the Christmas break. We took I-57 N and got hit pretty good in C IL and made it back home to a few inches of new snow OTG. Other than that, I didn't pay much attention to the models or the overall wx pattern. Yup, I was getting my info via Tom Skilling and TWC! November should be an interesting month, in terms of weather. Btw: Dec looks cold and snowy! Weather appears to remain cold in the long term and becomes cloudy with possible Winter Precip. Geeze, what a thermal gradient setting up across our sub forum to open up the first 10 days of November with multiple waves riding up along it! I saw that on GFS. Can you say active??? We'll see how trends go. I'd much rather get cold rain than no precip at all. At least cold rain is indicative of moisture. I haven't see it that active in a while!! That map clearly states 1/2" for my area within that timeframe. From the looks of Canada, plenty of cold air bottled up there just waiting to come down in our neck of the woods and freeze us up. Yeah man. Like I said in my winter forecast, even though it was a joke, I really think this year is going to be a repeat of 08-09' and 13-14'. I don't care if it's rain either, I just want precip. When it's consistently dry outside is when it's the absolute worst. Plus, I swear, wind advisories are always a dead give away here. When we get wind advisories and no precip, but half this forum is talking about how much they got, that's just a sign lol. Remember last Winter or the previous one (cant remember which) where one of the models was showing a huge amount of snowfall for our region...something like 2 to 3ft and then , only to take it back couple days later. FWIW, GFS fantasyland is showing the 11/11 storm we've been talking about. how well does your area do? Idk because it only goes to 6am on 11/11. But at that point, we're on the rain side of the rain/snow line. It's close. Something else to consider: Could there be a risk of an ice storm somewhere? There's a nice amount of pink on there. That sounds like the Euro with 32" over Detroit for like one single run! So many of those I lose track tbh Thought I maybe saved a map, but didn't find it. Wrong time of year. At least over here, to get a legit Ice event, we have to have cold ground to aid in keeping near-surface temps at or just below freezing. Not saying that's true out where you're at ofc. Yeah I'm talking about here in the Plains. Plus with the overall below average temps expected over the future, would not be surprising. Looking like a whiteish mid-november is virtually a lock for me. I like it. If you could shift the overall pattern 3 weeks, yes, this would be Oct 2000 pattern to a 'T'. This could be the year that we surpass 2000 easy! Can you imagine we really get something like that this Winter! With all the moisture going around, I could see a 1-Dec-74 on 'roids happening. Or the Great Appalachain storm bumped half a state north. Nevva say nevva! Exactly. Fun times ahead buddy! Hey guys, we're starting season 4 of the hit series "Will it ever snow in Topeka KS again?" I have a question: is that site with the free euro maps legit? It looks like it to me but I'm surprised you can get some of that stuff for free like the snowfall and precip maps. I assume you pay big bucks to provide that kind of data but wasn't sure if that is the case. I don't want to sound like a prude, but I'm real big on safeguarding intellectual property rights. Appreciate your thoughts. I would like to pass that link around to a few folks. We will be tracking a large storm during the 11/4-11/7 period that is likely to take a track through the N Rockies into the N Plains. Based on what I'm seeing in East Asia, this makes for a favorable hard cutter. The central plains look to stay quite dry for next couple weeks. Not liking the trends here. Huh? If what Tom's post says is anything close to correct, Idk how? A strong storm coming out of the 4-corners should be pulling moisture north from the Gulf right over you guys. And that'd be in about 8 days..
First flakes near KC to open Nov? The models have been having a devil of a time trying to figure out what to do with that energy in the SW. Let's see if it can come out quicker and marry the precip with the cold. I think he's looking at the GFS, and if it's true he's not wrong. It's atrocious for us lol. It's pretty wild how much my optimism has changed, I just don't see us having a good year, this map its what I could see being accurate for a typical storm track this year. Ryan Maue, the former WxBell guy who is building the new site, has the view that everyone should have free access to all the model maps. He said the required fee has been paid. Thanks so much for the reply hawkeye. I thought Ryan's name sounded familiar but I didn't connect him with (formerly) WxBell. I have both a musician and a writer in the family along with a good friend who has a RPG (role playing game) business who have all had interesting experiences with property rights issues so I guess it's on my radar a little more than most.